We are lucky to live in a world enriched by nature, however there are times when conflict can occur between man and the creatures with which we share this planet. When this occurs clients have the confidence that Pestex will manage the situation ethically whilst remaining focused on their objective. Pestex offers a free survey to explore all options available to you, assessing the potential for measures of exclusion or deterrence using natural solutions before considering more intrusive means. 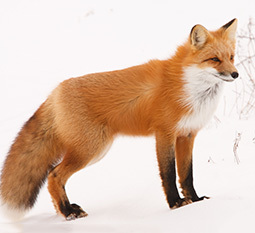 Pestex prides itself on its abilities surrounding pest control and wildlife management. Our knowledge of animal behaviour assists our clients when wildlife interferes with business. 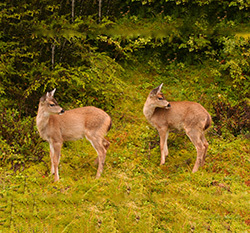 Rabbits, foxes, squirrels, mink, moles and even deer can cause nuisance. Pestex are a national pest control company with a difference. We are a company with roots in the countryside, an organization committed to protecting and preserving wildlife and realistic in understanding the need to manage it. The presence of Canada Geese can cause a number of problems, both to the health and safety of humans and damage to the environment. 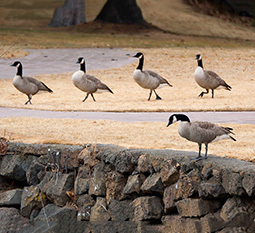 Pestex is experienced in the control and management of Canada Geese, having undertaken many successful management programs for local authorities and businesses, as well as offering advice and consultancy.